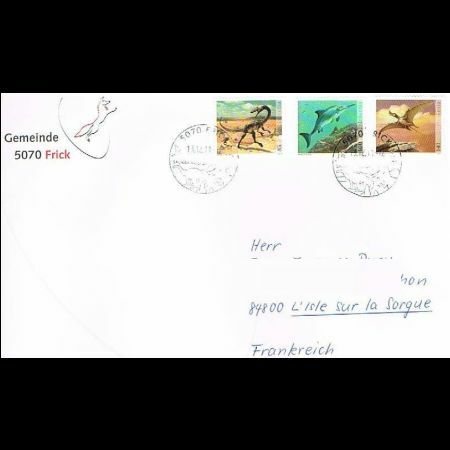 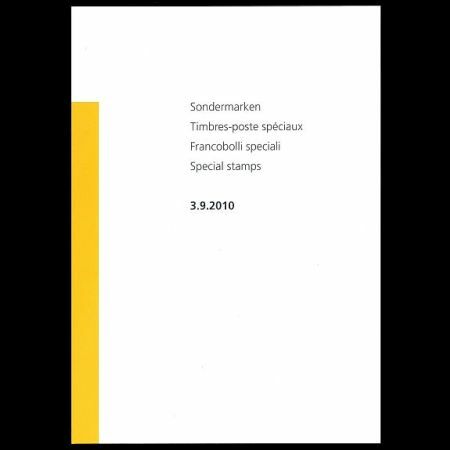 Switzerland 2010 "Dinosaurus in Switzerland"
A skeleton of Theropoda, depicted on stamp of 5.10CHF, found in Frick on 2006, ad was the first Predator Dinosaur found in Switzerland.A skull fossil of Ichtyousaria, depcited on stamp of 6 CHF, is also found in Frick. 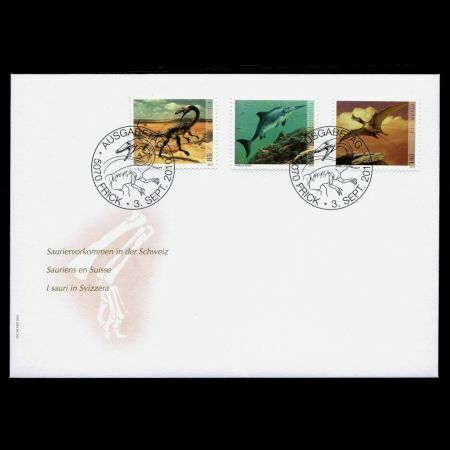 Some fossils of Pterosauria are found in Kanton Graubuenden. 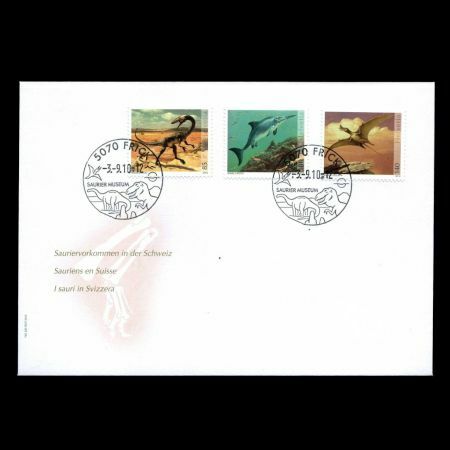 Fossils of Theropoda and Ichtyousaria can be seen at Sauriermuseum in Frick. 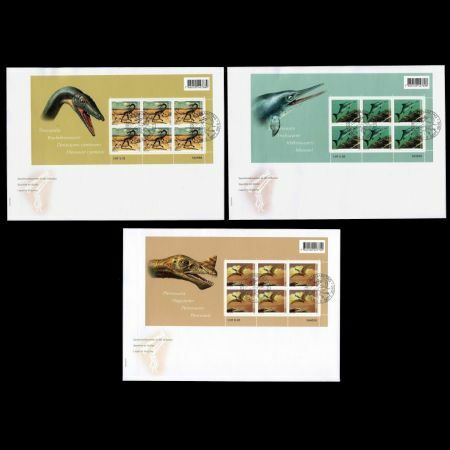 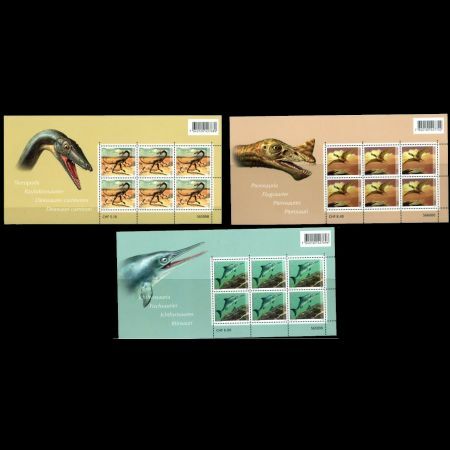 These stamps are represent an accurate (as much possible for nowadays) of dinosaurs and their living environment. 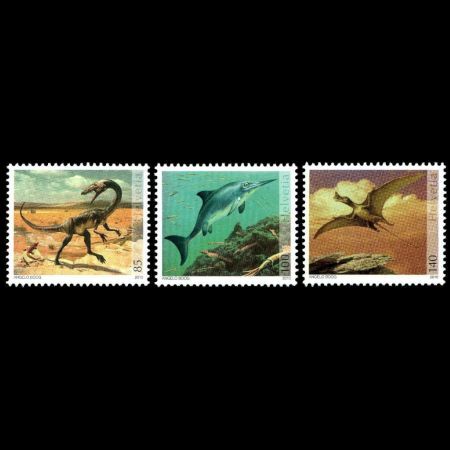 3D models are cretaed for each dinosaur based on existed fossils.